Bridging the gap between console and PC gamers and also catering for those that do a bit of both can't be easy. 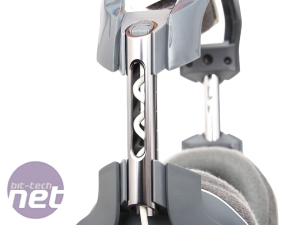 However, it's something that headset manufacturers have to deal with on a regular basis. 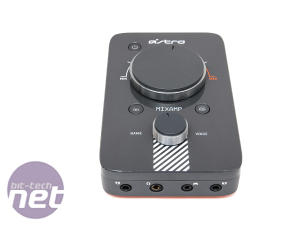 Things can become a tad more expensive as a result with the extra cables and external sound cards thrown into the mix and at £200, Astro's A40 Headset with it's external MixAmp Pro bundled in together is certainly a classic example. 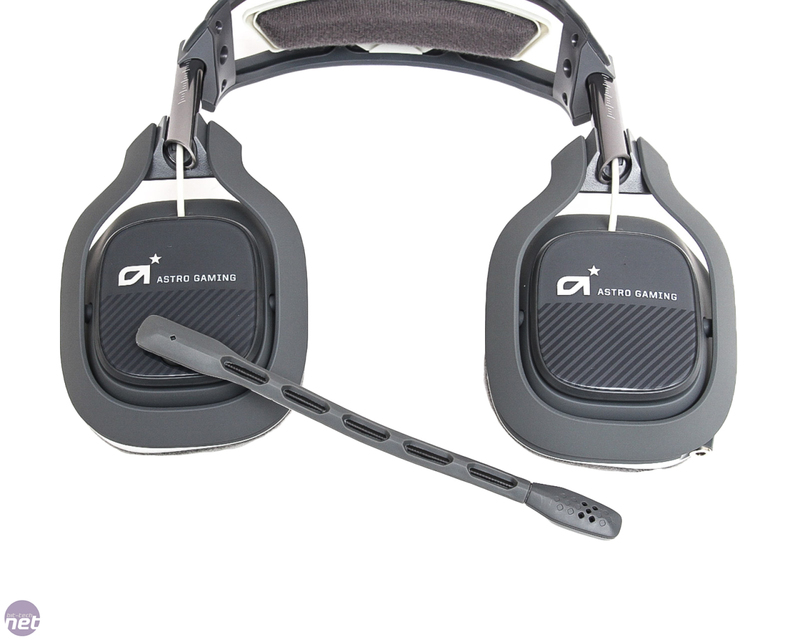 However, there's more to the high price than just the fact the A40, in this case, comes with an external sound card (you can also buy the A40 on its own). 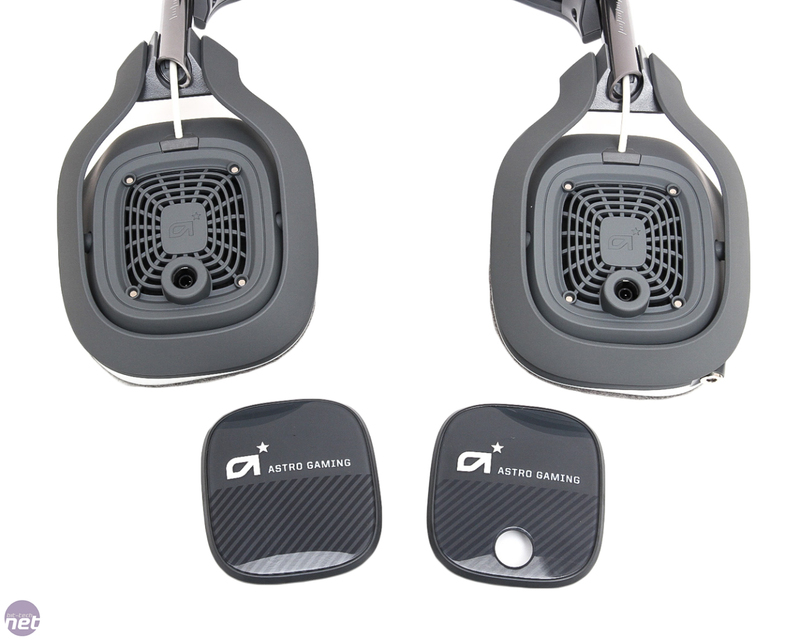 Astro is a well-known brand for US gaming fans and despite the relatively high cost of its headsets compared to your average Corsair or CM Storm product, it has a big following. 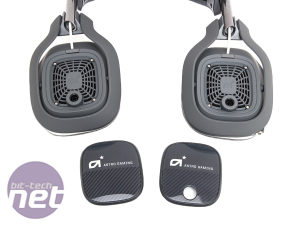 So what's all the fuss about and what does £200 of Astro headset get you? The A40 itself looks a little lacklustre compared to your average jazzed-up PC gaming headset - so much so that we were a little taken aback lifting it out the box. That was the end of our criticisms though. 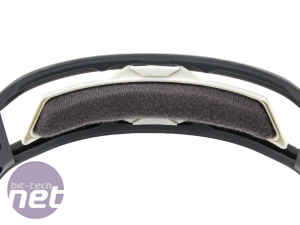 It's actually very well made indeed, mostly from tough but flexible high-density plastic with a soft-touch feel around the ear cups. 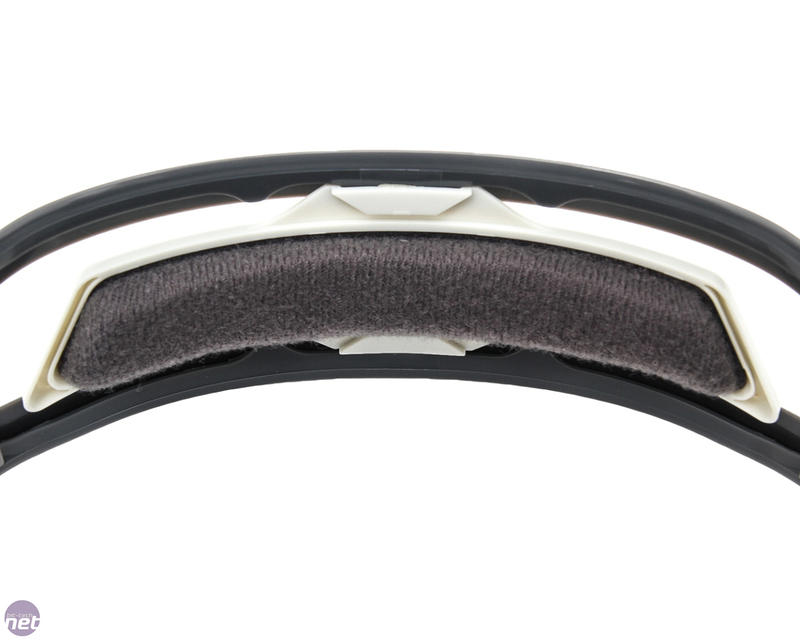 The adjustment sliders on each side are made from aluminium and feel very sturdy. While there's plenty of movement, it does favour small to medium head sizes. 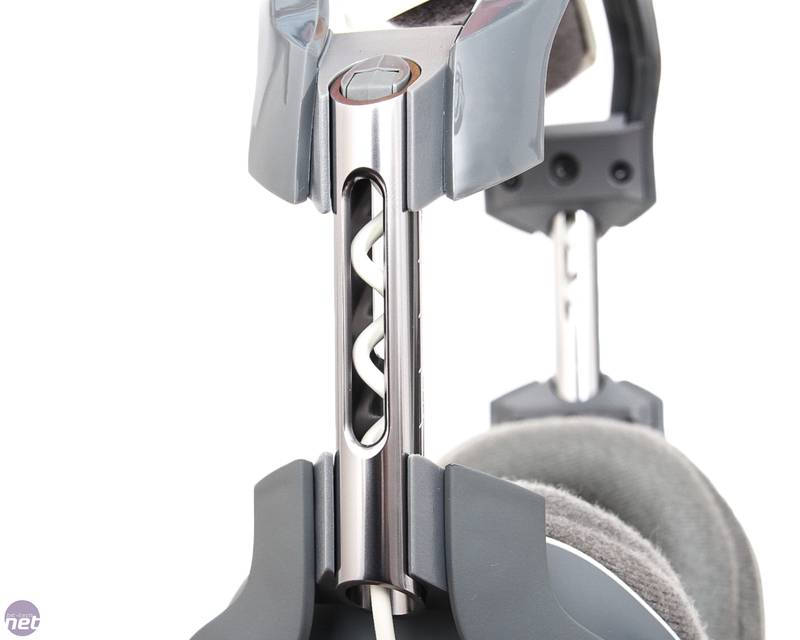 The earcups can move in all directions too so it's likely they'll be able to sit flat on most heads as well. The cushioning isn't quite as epically-lavish as we expected given the price, but it's adequate for a very comfortable fit. 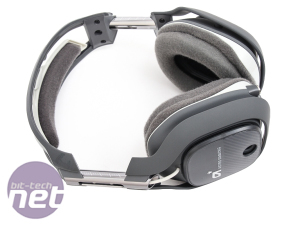 Our only complaint is that the material-covered circumaural ear cushions aren't quite large or soft enough to provide that floating feeling that we've had with headsets such as Qpad's QH-90 and Kingston HyperX Cloud. They're still extremely comfortable but not quite a ten out of ten. 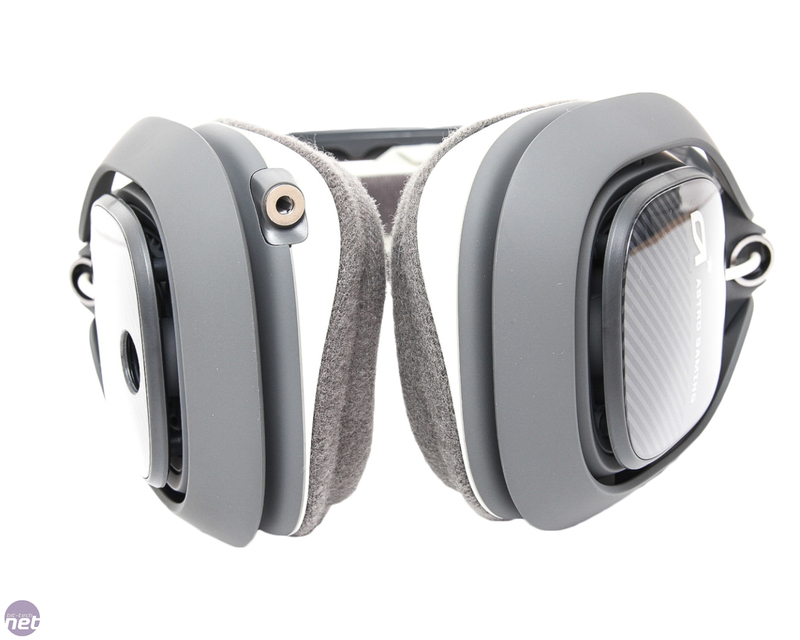 There's no carry box or bag included like we've seen with many cheaper PC gaming headsets but the A40 does at least sport rotating earcups so can be flat-packed in some sense. 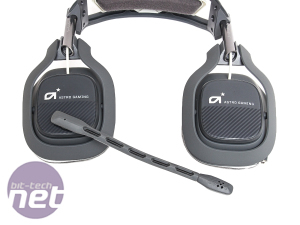 The microphone is removable and can be placed into the left or right earcup and Astro has included magnetic caps that can be swapped over depending on your preference. 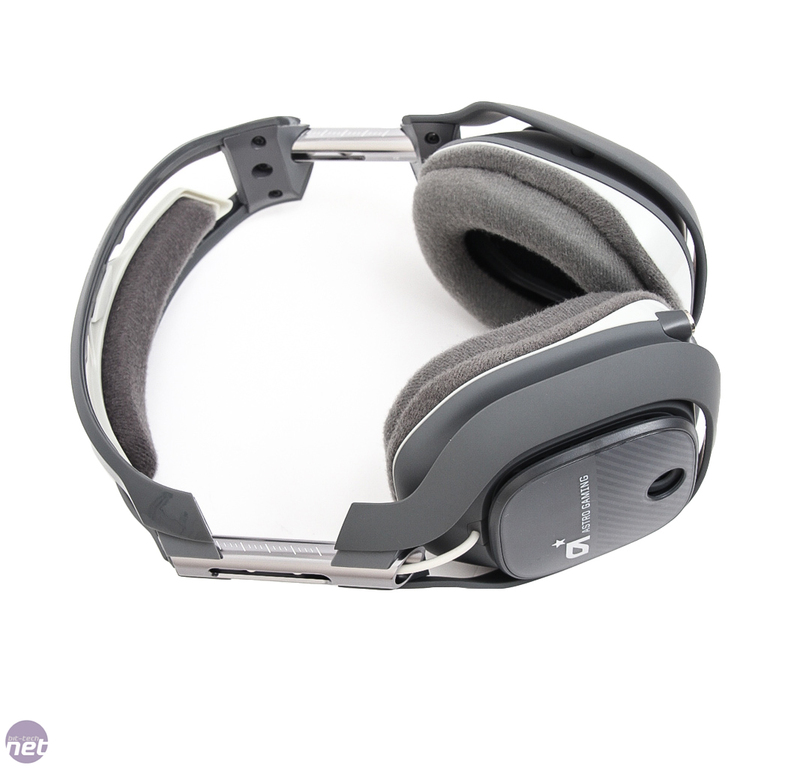 It also offers replacement caps for the earcups that come in a variety of logo designs. 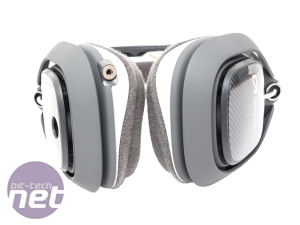 The earcups themselves are of open-back design so there's quite a bit of noise escaping even at medium volumes - something to be aware of if you'll be using them in a quiet environment with other people. 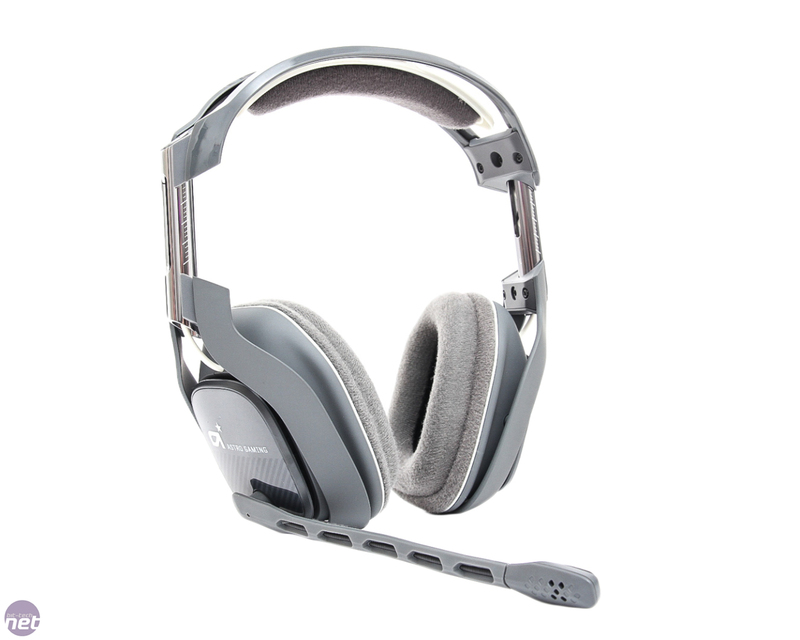 The technical details are pretty much what you'd expect from a premium headset. There's a single 40mm driver in each earcup, which sport a frequency response of 20Hz to 21KHz and for the real audiophiles out there, it has a claimed impedance of 48 ohms, THD of 0.1 per cent while the MixAmp Pro sports a per channel power output of 70mW and frequency response of 20Hz to 20KHz. 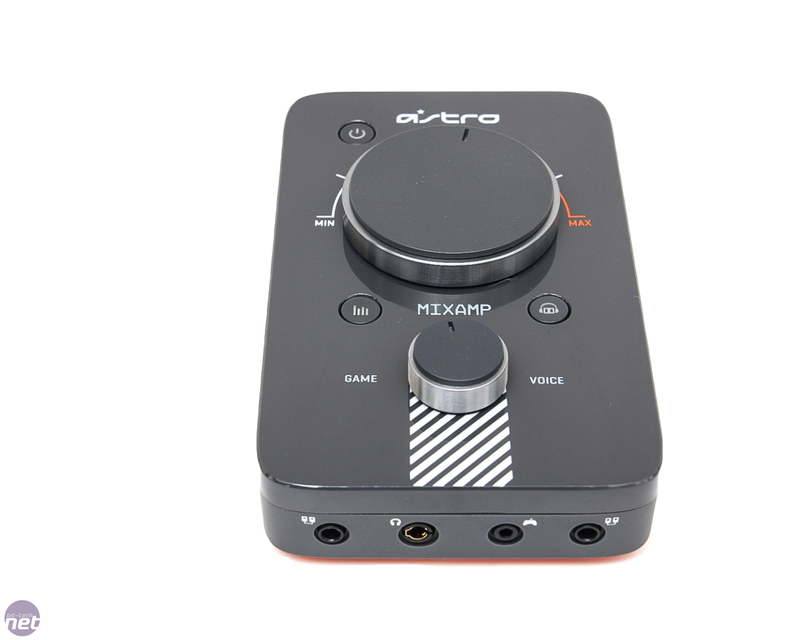 A 3m optical cable is included that can be used in conjunction with the MixAmp Pro, which is also powered by a 3m USB cable. 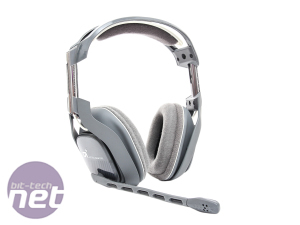 The headset can connect to either the Mix Amp Pro or your PC via a 2m 3.5mm 4-pole minijack cable, with a splitter cable provided for PC use if you're connecting the headset straight to your PC. Sadly there's no volume control on the cables themselves - the idea is you use the external amp for this. Head over the page to see the conclusion and scores.